The mopheads and lacecaps set their buds for this season's blooms at the end of last summer. So those buds from last year are what they have. Once those have bloomed, the blooming is done for the year. You can remove them or leave them. 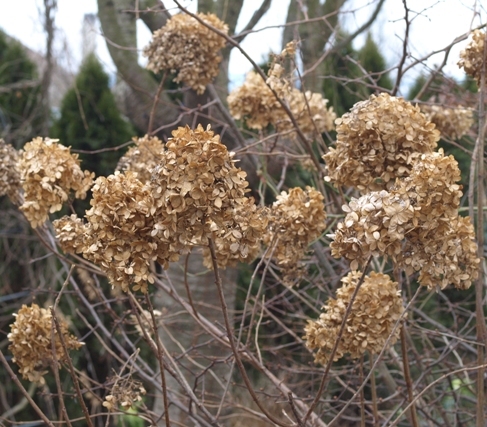 Lots of people leave the old blossoms on hydrangeas, thinking they are decorative for some winter interest in the garden.